Dr. Ricardo Otheguy is professor of linguistics at the Graduate Center of the City University of New York (CUNY). His theoretical work has been in the fields of functional grammar, sociolinguistics, language and dialect contact, and the analysis of Spanish in the U.S. His applied work has centered on bilingual education and the production of textbook materials for the teaching of Spanish as both L1 and L2 in U.S. high schools. He is the editor of several books on theoretical and applied topics, and the author of Spanish in New York: Language contact, dialectal leveling, and structural continuity, published by Oxford University Press. His theoretical and applied papers have been published in major journals such as Language, the Modern Language Journal, and the Harvard Educational Review. He has lectured throughout the U.S. and the Spanish-speaking world. He has twice been the recipient of Fulbright Fellowships from the Council for the International Exchange of Scholars. His research has been supported by, among others, the Rockefeller Brothers Fund and the National Science Foundation. He was for many years director of the Bilingual Education Program at City College. He presently coordinates the CUNY Project on the Spanish of New York and is director of the Research Institute for the Study of Language in Urban Society (RISLUS), a University chartered institute of the City University of New York (CUNY). RISLUS conducts research and professional development projects in areas related to language, and to the role of language in society and schools. Dr. Ofelia García is Professor in the Ph.D. programs of Urban Education and of Hispanic and Luso-Brazilian Literatures and Languages at the Graduate Center of the City University of New York. She has been Professor of Bilingual Education at Columbia University´s Teachers College, Dean of the School of Education at the Brooklyn Campus of Long Island University, and Professor of Bilingual Education/TESOL at The City College of New York. Among her recent books are: Bilingual Education in the 21st Century: A global perspective; Handbook of Language and Ethnic Identity, Vols. I & II (with J. A. Fishman); Educating Emergent Bilinguals (with J. Kleifgen); Additive Schooling in Subtractive Times (with L. Bartlett); Negotiating Language Policies in Schools (with K. Menken); Imagining Multilingual Schools (with T. Skutnabb-Kangas and M. Torres-Guzmán), and A Reader in Bilingual Education (with C. Baker). She is the Associate General Editor of the International Journal of the Sociology of Language. García was the recipient of the 2008 NYSABE Gladys Correa Award, is a Fellow of the Stellenbosch Institute for Advanced Study (STIAS) in South Africa, and has been a Fulbright Scholar, and a Spencer Fellow of the U.S. National Academy of Education. Her e-mail is ogarcia@gc.cuny.edu. For more information, visit her website at www.ofeliagarcia.org. Ivana Espinet is the current project director for CUNY-NYSIEB. She holds a Ph.D. in Urban Education from the CUNY Graduate Center and an M.A. in Instructional Technology and Education from Teachers College, Columbia University. She has taught courses in the Childhood/Bilingual and Special Education Department at Brooklyn College and in the School of Education at Long Island University. Ms. Espinet taught high school Media and Social Studies and has provided professional development for integrating media and technology in schools with the Center for Technology and School Change and the Educational Video Center, working in schools with large populations of emergent bilinguals. She has worked with k-12 teachers in schools in a variety of settings. She is interested in using multimodal and collaborative methodologies to learn about emergent bilinguals in school and in after school programs. ​She may be reached at IEspinet@gc.cuny.edu​. Dr. Maite (María Teresa) Sánchez was CUNY-NYSIEB’s project director from 2012-2017. She is currently Assistant Professor of Bilingual Education at the Department of Curriculum and Teaching at Hunter College but continues her connection with CUNY-NYSIEB as Project Advisor. For the past 12 years, Dr. Sánchez has conducted research and evaluation studies of policies and practices for educating emergent bilinguals, in both bilingual education and mainstream settings. Before coming to CUNY, she was a senior research associate at the Education Development Center (EDC) where she worked in several projects on emergent bilinguals and other issues of school reform (formative assessment and data-driven decision making). As part of the Regional Educational Laboratory Northeast and Islands, she designed and conducted research studies and provided research technical assistance consistent with the needs of the region. She also organized and facilitated the development of a research alliance comprised of state- and district-level participants from Northeastern states interested in improving the educational experiences of emergent bilinguals. At EDC, she was also part of a research team of the Institute of Education Sciences grant “Mathematics Coaching Supporting English Learners” that developed, implemented, and studied professional development materials that support mathematics coaching of teachers on the use of visual representations to support emergent bilinguals mathematical problem-solving. Dr. Sánchez has also worked with school leaders in bilingual programs through program evaluation and professional development to strengthen the program’s instruction in English and other home languages. She has co-authored several publications including “Processes and challenges in identifying learning disabilities among students who are English language learners in three New York State districts” (2010), “A descriptive analysis of state-supported formative assessment initiatives in New York and Vermont” (2011) (both available for download at http://relnei.org), as well as the book chapter, “Undermining teacher competencies: Another look at the impact of restrictive language policies,” in the Forbidden Language (2010), edited by Patricia Gándara and Megan Hopkins. She may be reached at: msanchez3@gc.cuny.edu. For more information, visit her website: www.maitesanchez.org. Dr. Kate Seltzer is the former project director for CUNY-NYSIEB. She holds a Ph.D. in Urban Education from the CUNY Graduate Center and is currently an Assistant Professor of Bilingual and TESOL Education at Rowan University, where she teaches pre- and in-service teachers of emergent bilingual students. She is co-author of the recent book, The Translanguaging Classroom: Leveraging Student Bilingualism for Learning with Ofelia García and Susana Ibarra Johnson as well as two publications for the CUNY-NYSIEB project: Translanguaging: A CUNY-NYSIEB Guide for Educators (with C. Celic) and Translanguaging in Curriculum and Instruction: A CUNY-NYSIEB Guide for Educators (With S. Hesson and H. Woodley). A former high school English Language Arts teacher, her research interests include expanding traditionally English-medium spaces for bilingual students, particularly through shifts in curriculum and classroom design, and working with teachers to build on students’ diverse language practices while also challenging their ideologies about these students and their ways of languaging. She may be reached at seltzerk@rowan.edu. Gladys Aponte is a doctoral student in the CUNY Graduate Center’s Urban Education program. She is also an adjunct instructor at City College and at Bank Street College of Education, where she teaches courses in bilingual and TESOL education. Prior to pursuing a doctoral degree, Gladys was a dual language bilingual teacher in New York City public schools. During that time, she served as a CUNY-NYSIEB Ambassador Teacher and shared her translanguaging classroom practices in several NYSIEB webinars. Gladys’s interest in bilingual education and metalinguistics stems from her own experiences as an emergent bilingual student in NYC public schools. She was further drawn to the needs of bilingual learners while completing a BA in Elementary Education at Hunter College, which led her to pursue a M.S.Ed. in Dual Language Bilingual Education and Childhood Special Education at Bank Street College. Gladys now facilitates professional development with teachers of emergent bilinguals, supporting them with the holistic assessment of bilingual students, vocabulary development, and translanguaging pedagogy. She is also the creator of Etymation, an animated cartoon curriculum that teaches etymology. Gladys can be contacted at: gaponte@gradcenter.cuny.edu. Dr. Laura Ascenzi-Moreno (Associate Investigator 2012-2018) is an Assistant Professor in the Childhood/Bilingual and Special Education Department at Brooklyn College. She received her Ph.D. in Urban Education from the City University of New York Graduate Center. She worked in Brooklyn, NY in a Spanish/English two-way immersion school as a dual language teacher and curriculum coach for a combined 12 years. Her research interests include bilingual education at the elementary school level, multiple literacies, assessment, teacher knowledge and school governance. Laura joined CUNY-NYSIEB in January, 2012 and has worked with Cohort 1, 2, 3, and 4 schools. Her email is: lascenzim@gmail.com. Dr. Kathryn Carpenter (Advisor 2016-2017, Field Associate 2015-2016, and Research Assistant 2012-2014) received her doctoral degree in Urban Education from the CUNY Graduate Center. A former New York City Teaching Fellow, she earned her Master’s degree in English teaching from Queens College and her Bilingual Education certificate from Hunter College. She spent 6 years working at a dual language program at a public intermediate school in Queens, where she was one of the founding teachers. Her dissertation focused on why non-Latino English-speakers choose to place their children in Spanish-English dual language bilingual programs. Kathryn joined CUNY-NYSIEB in 2012 and has worked with Cohort 1, 2, 3, and 4 schools. Her email is: katfang@hotmail.com. Zoila Morell is an Associate Professor in the Early Childhood and Childhood Education Department at Lehman College. Her research and scholarship examines bilingual education, bilingualism, early childhood education, and conditions impacting educational achievement for Latino children. She serves on the New York State Education Department Committee for ELLs and DLLs in Pre-Kindergarten where she has worked on developing a protocol for the identification of Emergent MultilinguaL Learners (EMLLs) in Prekindergarten. She was a member of the Early Childhood Blue Ribbon Committee for the New York State Education Department. Her email is zoila.morell@lehman.cuny.edu. Karen Zaino is a Ph.D. student in Urban Education at the Graduate Center. After receiving her B.A. in English and Education from Swarthmore College, she taught for five years at Ridley High School outside Philadelphia. While pursuing her Masters Degree at Villanova University, Karen researched the impact of Philadelphia youth organizers on educational policy. She then taught high school in Covington, Kentucky, for seven years before returning to the east coast. Karen is interested in using her scholarship to resist neoliberal ideologies in schools, engaging with teachers and students in collective research, theory, and action. Khánh Lê is a Ph.D. student in Urban Education at the Graduate Center and a Teaching Fellow in the Bilingual Education and TESOL programs at City College. He holds a B.A in History of Việt Nam with a minor in African American Studies from Temple University and an M.A in International Education Development from New York University, Steinhardt. His work as a scholar is a continuation of his years as a youth activist in the Asian American community in Philadelphia. He intends to use his scholarship to disrupt oppressive language ideologies regarding minoritized communities, especially Southeast Asian American youth, and shift the production of knowledge through an epistemology centered on decolonization and Critical Participatory Action Research. He may be reached at khanh.85@gmail.com. Camille Wynter received her MPA in Public and Nonprofit Management & Policy from the NYU Robert F. Wagner Graduate School of Public Service, where she developed an interest around the areas of social impact and developing underserved communities. She is currently involved in educational research projects through the Center for Advanced Study in Education (CASE), and the Research Institute for the Study of Language in Urban Society (RISLUS), including CUNY-NYSIEB at the CUNY Graduate Center. Her previous work experience includes Grants Administrator for a Center for Disease Control and Prevention (CDC) funded community health grant where she provided fiscal oversight and managed the day to day operations of the grant. She can be reached at cwynter@gc.cuny.edu. Dr. Brian A. Collins (Associate Investigator 2012-2016) is an Associate Professor in the Department of Curriculum and Teaching at Hunter College, where he teaches graduate courses including: Foundations of Bilingual Education, Language Assessment for ELLs, and Psychology of Language Development. An experienced educator, he has worked extensively with emergent bilinguals as a bilingual elementary school teacher in Boston and Pennsylvania and an ESL instructor in Madrid, Spain. Dr. Collins has diverse research experience investigating issues surrounding education, bilingualism, language development, teacher-child relationships, immigration, cultural competence and dimensions of children’s social, psychological, and academic wellbeing. Brian joined CUNY-NYSIEB in January, 2012 and has worked with Cohort 1, 2, 3, and 4 schools. His email is: bcollins@hunter.cuny.edu. Dr. Cecilia M. Espinosa (Associate Investigator 2013-2016) is an Associate Professor in the Early Childhood/Childhood Education Department at Lehman College, CUNY. She received her Ph.D. from Arizona State University in Language and Literacy. Dr. Espinosa was a bilingual-multiage teacher for 11 years and a Title VII Director of a Dual Language Grant for 3 years. 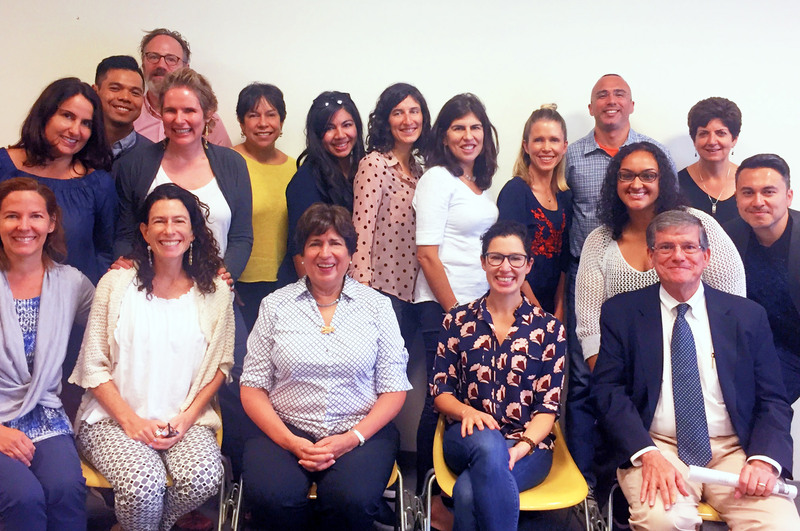 Dr. Espinosa has led seminars at the New York City Writing Project (NYCWP). Dr. Espinosa’ research interests include: teacher inquiry, teacher learning communities, descriptive reviews from phenomenological perspective, collaborative research, biliteracy, and translanguaging. Her email is: cecilia.espinosa@lehman.cuny.edu. Dr. Meral Kaya (Associate Investigator 2014-2016) received her Ph.D. from the Ohio State University in Reading and Literacy in the Early and Middle Childhood Program (Language, Literacy and Culture), minoring in Foreign, Second and Multilingual Language Education. Her areas of expertise are teacher education, teaching to emergent bilinguals, drama in language arts, children’s literature, and multicultural children’s books. Her research interests include effective teaching for emergent bilinguals, multicultural children’s literature, and integrating art into teaching language arts. Her teaching experience ranges from kindergarten to middle school. Her recent research is on culturally and linguistically responsive pedagogy, teaching reading through drama for emergent bilinguals, and reflective teaching. She has worked with Cohort 3 and 4 schools. Her email is: MKaya@brooklyn.cuny.edu. Dr. Tatyana Kleyn (Associate Investigator 2012-2014) is Associate Professor and Program Director, Bilingual Education and TESOL Programs, City College of New York – CUNY. Dr. Kleyn was the 2014-15 president of the New York State Association for Bilingual Education (NYSABE) and a Fulbright Scholar in Oaxaca, Mexico. In 2007 she received an Ed.D. in international educational development at Teachers College, Columbia University. Her dissertation, focused on the intersections of bilingual and multicultural education in Spanish, Haitian, Chinese and Russian bilingual classrooms, earned second place in the Outstanding Dissertation Award for NABE. She is author of “Immigration: The Ultimate Teen Guide” (Scarecrow Press, 2011) and co-author of “Teaching in Two Languages: A Guide for K-12 Bilingual Educators” with Adelman Reyes (Corwin Press, 2010). She is the director of the documentary “Living Undocumented: High School, College and Beyond.” Tatyana has published about the educational of the Garífuna in Honduras and ‘Long-Term English Learners’ in NYC secondary schools (with Kate Menken). She was an elementary school teacher in San Pedro Sula, Honduras and Atlanta, Georgia. Dr. Kate Mahoney (Associate Investigator 2013-2016) is an Associate Professor in the TESOL program at SUNY Fredonia. Dr. Mahoney earned her Ph.D. in Curriculum & Instruction with a concentration in Bilingual Education from Arizona State University. She taught in Texas, New Mexico, Arizona, and Belize in both ESL and bilingual settings. Mahoney was awarded a Title VII Bilingual Education Fellowship, an AERA Dissertation Award for her research on validity of test-use for emergent bilinguals, and she was awarded the William T. Hagan Young Scholar Award at SUNY Fredonia. Kate is currently writing a core textbook titled Assessment Essentials for Emergent Bilingual Learners. She has worked with Cohort 2, 3, and 4 schools. Her email is: kate.mahoney@fredonia.edu. Dr. Dina López (Associate Investigator 2015-2016) is an Assistant Professor in the Programs of Bilingual Education and TESOL at the City College of New York. Dr. López has over 15 years of experience working with emergent bilinguals in a variety of contexts: from classroom teacher to curriculum developer, teacher educator, and researcher. Her research examines the situated nature of educational practices and is located at the intersection of sociocultural approaches to language and literacy, the anthropology of education, and immigration and education. Her email is: dlopez@ccny.cuny.edu. Dr. María Cioè-Peña earned her PhD in the Urban Education from The Graduate Center – City University of New York, where she was also an Advance Research Collaborative fellow and a Presidential MAGNET Fellow. She is a former elementary school teacher whose passion for children and social justice in education pushes her to fight for equity and full inclusion for children of diverse backgrounds and abilities. With a B.A. in English and a M.S.Ed. in teaching urban students with disabilities, María’s research focuses on bilingual children with dis/abilities, their families and their ability to access multilingual learning spaces within NYC public schools. Her interests are deeply rooted in language practices and dis/ability awareness within schools and families. María is currently an Assistant Professor at Montclair State University. Dr. Vanessa Pérez (Associate Investigator 2012-2015) is Associate Professor of Bilingual Education in the Department of Puerto Rican and Latino Studies at Brooklyn College, CUNY. She earned a Ph.D. in Comparative Literature from the University of California, Davis with a Designated Emphasis in Second Language Acquisition. Dr. Pérez has direct instructional experience with bilingual education, having taught in a dual language program in the Boston Public Schools for five years. Her teaching and research areas include U.S. Latino literature, language, culture and society, and Latinos and education. She currently serves on the Northeast board of the National Latino Education Research and Policy project. She is also on the board of the Recovering the U.S. Hispanic Literary Heritage project at the University of Houston. Vanessa is the author of Becoming Julia de Burgos: The Making of a Puerto Rican Icon. She is the editor of Hispanic Caribbean Literature of Migration: Narratives of Displacement. She was a Mellon Fellow in the Department of Social and Cultural Analysis at New York University and a Post-Doctoral Fellow at the Center for Puerto Rican Studies at Hunter College, CUNY. She is the recipient of numerous grants and awards, including the American Association of University Women Publications Grant and the National Council for Teachers of English 2011 Early Career Educator of Color Leadership Award. Her research and teaching interests include U.S./Third World Feminism, Transnational Feminism, Latina/o Studies and Caribbean Studies. Dr. Pérez is a recognized expert advisor on issues of teacher development and preparation, with a focus on culturally relevant curricula and bilingual education. She has created workshops for teachers on incorporating Latino history and culture in New York City Public Schools curriculum, in alignment with New York State standards. She has worked with the Center for Puerto Rican Studies and the Gotham Center. She is available for speaking engagements, workshops, curriculum development, and advisory program management. Dr. Pérez joined CUNY-NYSIEB in Spring 2013 and has worked with Cohort 1, 2, and 3 schools. Cristian R. Solorza (Field Associate, Leadership Component, 2014-2015) is currently the Director of the Dual Language Bilingual programs at Bank Street College of Education. He also teaches and advices prospective teachers that will be working in schools with a large percentage of emergent bilinguals in both general and special education settings. His courses include bilingual literacy, bilingual curriculum, developmental variations, and language acquisition theory and pedagogy. He has a combined 10 years of teaching experience in pre-school settings and as a former elementary school bilingual education teacher in a New York City school. In addition, he has also received certification as a School Building Leader. Mr. Solorza has conducted research and presented in conferences on policy and practices affecting emergent bilinguals. His recent works with Kate Menken examine the factors that determine language education policies adopted by NYC school principals. Mr. Solorza is also an educational consultant that has been working with schools and districts for more than eight years in helping them improve the design and delivery of programs for emergent bilinguals in New York and abroad. In specific, he has supported administrators, ESL, bilingual, and monolingual classroom teachers with the assessment of emergent bilingual learners, reading/writing with beginner/intermediate emergent bilingual learners, implementation of the Common Core State Standards, coaching, lesson study, teacher collaboration, and the restructuring of curriculum/lessons to meet the needs of EBLs. Mr. Solorza joined CUNY-NYSIEB in the Fall of 2014 and has worked with Cohort 3 schools. Dr. Luis Guzmán Valerio is a translator, writer, and scholar. He received his Ph.D. in Latin America, Iberian, and Latino Cultures with a specialization in Hispanic Linguistics from the CUNY Graduate Center in June 2018. With Diego Vargas and Maite Sánchez, he translated El Translenguar: Una Guía de CUNY-NYSIEB para Educadores, Versión Abreviada en español. With Kate Menken and Vanessa Pérez Rosario he authored “Increasing Multilingualism in Schoolscapes” and with Brian Collins he presented on “Building, Deepening and/or Extending the Multilingual Ecology in Your School”. His work has been published in Sargasso: A Journal of Caribbean Literature, Language & Culture,Linguistic Landscape: An International Journal, Chiricú Journal: Latina/o Literatures, Arts, and Cultures, and in FIVE:2:ONE #thesideshow Flash Fiction. His work is forthcoming in Spanish in Context, Latino Studies, and Delos: A Journal of Translation and World Literature. Luis has presented his work at national and international conferences including the Third International Conference on the Sociolinguistics of Immigration, in Sestri Levante (Genova), Italy and Latina/o Studies Association, Latinx Studies Now, in Washington, D.C. Luis has taught educational linguistics courses and supervised teachers in bilingual education, TESOL, and Spanish and currently works in the School of Education of the City College of New York. He may be reached at luisalejandroguzman@hotmail.com. Sara Vogel, M.S. Ed., is a doctoral student at the CUNY Graduate Center’s Urban Education program, interested in the intersection of bilingual education and digital media learning. She holds a Master’s degree in bilingual education from CUNY – Hunter College; and taught Spanish, technology, and literacy at a public middle school in East Harlem as a Teach for America Corps Member for two years. As an adjunct instructor at Hunter College, she guided in-service teachers to reflect on the theory, research, and practice of bilingual education. Her passion for progressive education and the Spanish language has taken her to Argentina, where she taught English on a Fulbright grant, and to Mexico, where she created multimedia and communications projects to support the non-profit, Redes de Tutoria. Her email is: sara.e.vogel@gmail.com. Dr. Heather Homonoff Woodley (Research Assistant, 2012-2013) is a Clinical Assistant Professor of TESOL and Bilingual Education in the Department of Teaching and Learning at New York University, Steinhardt School of Culture, Education and Human Development. She graduated with her Ph.D. in Urban Education from the CUNY Graduate Center, with research focusing on meeting the academic, linguistic and social-emotional needs of emergent bilinguals, particularly Muslim immigrant youth who speak less common languages. Heather’s research takes a pedagogical approach to arts-based research, using visual and performing arts to spark and build on multilingual voices in classroom spaces. Heather received her BA from Wesleyan University, followed by a Fulbright Scholarship at Al Akhawayn University in Morocco, and then her MS in TESOL Education from CCNY, CUNY. She began her career in education as a New York City Teaching Fellow and taught middle school English Language Arts for emergent bilinguals at Middle School 118 in the Bronx. She then taught high school English Language Arts at Maya Angelou Public Charter School in Washington, DC, an alternative high school for youth in the juvenile justice system. Heather worked for two years as a Research Assistant with CUNY-NYSIEB providing teacher support, classroom resources, and leadership training for public schools in the Bronx and Yonkers. She has published research exploring multilingual classroom practices and arts as social justice education, and has presented work at various conferences including the American Association of Education Research, New York State Association of Bilingual Education, the annual RISLUS Forum, and the CCNY Immigration and Education Conference. Dr. Angela Carrasquillo (Consultant and Lead Writer, Documentation Component, 2011-2013) retired from Fordham in 2008, but remains actively involved in several educational settings. Under the CUNY-NYSIEB project, she produced (with the collaboration of Dr. Diane Rodriguez and Laura Kaplan) an important document for bilingual education: New York State Education Department Policies, Mandates and Initiatives on the Education of English Language Learners. Professor Carrasquillo has authored and co-authored a long list of monographs, articles, and books, among those, Puerto Rico and New York: A Latina Professor’s Journey (2011), Beyond the Beginnings: Literacy Interventions for Upper Elementary English Language Learners (with S. Kucer & R. Abrams, 2004), and Language Minority Students in the Mainstream Classroom (with V. Rodriguez, 2002). Her work addresses the talents and achievements, as well as the linguistic and academic needs of students for whom English is not their native/primary language. Dr. Alejandro Carrion (Research Assistant, Documentation Component, 2011-2013) is a doctoral student at the CUNY Graduate Center. His dissertation research focuses on Latino males from the Bronx and their transition from high school to college. Alejandro is also an adjunct lecturer at Hostos Community College and Westchester Community College where he teaches sociology. Prior to his doctoral work he was employed by the NYC Department of Education as a parent support officer for district 4 and also ran numerous after-school programs. Christina Celic (Field Associate, Leadership Component, 2012-2015), M.Ed. is an educational consultant specialized in supporting emergent bilinguals’ academic and linguistic development. Ms. Celic has a Masters degree in Bilingual Education from Teachers College, Columbia University and holds professional teaching certifications in Bilingual Education (Spanish), Childhood Education, and ESL. Ms. Celic creates and conducts professional development centered on the topics of program development for emergent bilinguals, curriculum planning with emergent bilinguals, developing students’ academic language proficiency, differentiating instruction, and assessment with emergent bilinguals. Ms. Celic has taught grades 1-6 in bilingual and ESL programs. She began teaching in a maintenance 50-50 Spanish-English bilingual program in Illinois, where she helped develop the bilingual curriculum for literacy and content-area instruction. Ms. Celic also worked as a bilingual resource teacher in Illinois, supporting emergent bilinguals across grades by providing integrated literacy instruction in both Spanish and English. After moving to New York, Ms. Celic taugh in NYC public schools first as an ESL teacher in a self-contained ESL elementary school classroom and then as a literacy coach for grades K-5 working with teachers of emergent bilinguals serving students in dual language bilingual, ESL, and mainstream classroom. She has also worked in a French-English dual language bilingual program in Brooklyn. She has taught courses a City College including Teaching Language Arts and Reading in PreK-6. Ms. Celic is the author of English Language Learners Day by Day, K-6: A Complete Guide to Literacy, Content-Area, and Language Instruction. Dr. Ann E. Ebe (Associate Investigator, Leadership Component, 2012-2015) was Assistant Professor of Literacy Education and Director of the Bilingual Education Program in the Graduate School of Education at Hunter College, CUNY. She has a doctorate from the department of Language, Reading and Culture from the University of Arizona. Dr. Ebe began her work in education as a Spanish/ English bilingual elementary school teacher in California and then served as a bilingual literacy specialist for K-3rd graders in Arizona. She also worked as an administrator for Mexicayotl Academy, a K-12 bilingual school on the Mexico/Arizona border. She then went on to spend four years in Hong Kong as the Associate Principal and Literacy Specialist for the Hong Kong International School where she worked with an international group of teachers and students. Upon returning to the United States, Dr. Ebe served as Assistant Professor in the Graduate College of Education of the University of Massachusetts, Boston. At Hunter College she has taught Language, Literacy and Learning in School Contexts, Bilingual Literacy, and Instructional Approaches to Language and Literacy. 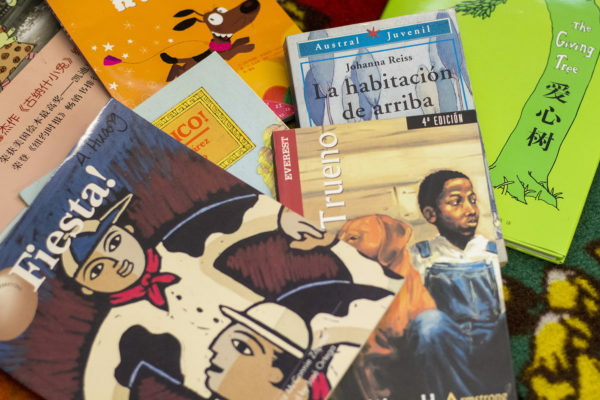 She recently was awarded a grant from the Brooke Astor Fund for New York City Education to work with schools in East Harlem to improve literacy education for emergent bilinguals. Dr. Ebe’s primary research interests include exploring the reading process of bilingual students and the ways in which teachers can support literacy development for bilingual and emergent bilingual students. Her work with teachers in the United States and abroad involves developing and implementing language arts curriculum to put literacy theory into practice for bilingual and emergent bilingual students. Dr. Ebe has been invited to share her research with teachers and administrators in Norway, China, Singapore, Malaysia, and Hong Kong. Dr. Ebe’s recent publications have included the article in Reading & Writing Quarterly, Supporting the reading development of middle school English language learners through culturally relevant texts. She also co-authored the article in the Journal of Multilingual Education Research, Developing academic language and content for emergent bilinguals through a science inquiry unit. She is the co-author of the book chapter, Bilingual books: Bridges to literacy for Spanish-speaking emergent bilinguals and the author of the book Insight from the Eyes: The Science of Effective Reading Instruction. She is also the co-author of the Rigby professional development seminar STEEL: Strategic Teaching Essentials for English Learners. Dr. Ebe joined CUNY-NYSIEB in Spring 2012 and worked with Cohort 1, 2, and 3 schools. Dr. Nelson Flores (Interim Project Director, 2011-2012) is Assistant Professor in Educational Linguistics at the University of Pennsylvania Graduate School of Education. He has collaborated on several studies related to the education of emergent bilingual students in New York City including a study of “Long Term English Language Learners,” a study of successful high schools of Latino students, and a study examining language use among teachers and students in two small schools that serve an exclusively Latino emergent bilingual population. His current research project seeks to develop a political economy of bilingual education in Philadelphia. Dr. Sarah Hesson (Research Assistant, Leadership and Network Components, 2012-2015) is an Assistant Professor in Educational Studies at Rhode Island College and a doctoral candidate in the Urban Education program at the CUNY Graduate Center. Her research interests include bilingual education policy and pedagogy, and social justice education. She received a Master’s degree in Bilingual Childhood Education from Fordham University through the NYC Teaching Fellows Program. She worked at the NYC Department of Education as a bilingual teacher at both the elementary and middle school levels for six years. Ms. Hesson joined CUNY-NYSIEB in Spring 2012 and worked with Cohort 1, 2, and 3 schools. Dr. Laura Kaplan (Research Assistant, Documentation Component, 2011-2013) is a Graduate Teaching Fellow in the MA TESOL Program at Hunter College. She is currently teaching the course “Social, Historical, Philosophical Foundations of Education & Bilingual Theory and Practice.” Laura is also pursuing her doctorate in the Urban Education program at the CUNY Graduate Center. At the moment she is involved in a research project looking at language policies and practices for emergent bilinguals in New York State from a historical perspective. She has also participated in a study for the Department of Education on best practices for Latino students in New York City public schools. Laura holds a Masters in TESOL from Hunter College as well as a Masters in Latin American Studies from NYU. She has taught ESL at Hostos Community College, Bronx Community College, and Passaic County Community College. Laura began her teaching career as a bilingual elementary school teacher and later as a teacher of EFL in Cochabamba, Bolivia. Dr. Erin Kearney (Associate Investigator 2013-2016) is Assistant Professor of Foreign and Second Language Education in the Department of Learning and Instruction at the State University of New York (SUNY) at Buffalo. She received a Ph.D. in Educational Linguistics from the University of Pennsylvania and spent a subsequent post-doctoral year at Yale’s Center for Language Study. Kearney was a French instructor for eight years and an ESL writing coach for two years; she now works with novice teachers in ESL, bilingual and Languages Other Than English teacher education programs. Through her research, Erin is interested in documenting and analyzing in fine detail how exactly language learning processes and learner dispositions toward languages are facilitated by teachers’ interactional moves so that these phenomena are better understood from a scholarly standpoint, but also so that these insights can be leveraged to enhance instruction, teacher education and professional development. She has worked with Cohort 2, 3, and 4 schools. Her email is: ekearney@buffalo.edu. Kahdeidra Monét Martin is a doctoral student in the Urban Education program at The Graduate Center, CUNY. She holds a M.S.Ed. in Teaching Urban Adolescents with Disabilities from Long Island University. She began her career in youth development as a tutor, youth facilitator, Assistant Beacon Director, and After School Site Coordinator at community based organizations throughout NYC. Kahdeidra has served as Dean of Students and Coordinator of Secondary School Placement at an independent school and has taught middle school English Language Arts and Social Studies as a Special Education teacher. She currently is an Adjunct Professor of Developmental English at Passaic County Community College. Her research interests include sociolinguistics, contrastive analysis strategies, culturally relevant literacy curricula, religion and education, and the language practices of multilingual and multidialectal African-descended youth. Outside of teaching and researching, Kahdeidra is the publisher and editor at Dimonet Connect Publishing, where she has authored two bilingual children’s books, I Love Myself, Do You? and Saturday is My Favorite Day, and one collection of poetry, Saltwater Rivers. Louis Olander is a doctoral student in the Urban Education program at the CUNY Graduate Center, and teaches graduate and undergraduate students about inclusive education in the Special Education department at Hunter College. His research interests are universal design, appreciative inquiry, and decolonizing educational research. Previously, he taught special education in New York City. Dr. Liza Pappas (Research Assistant, Leadership Component, 2011-2013) has a PhD in Urban Education from the City University of New York. Her doctoral studies concentration was in critical education policy, the processes by which education policy is shaped, implemented and experienced. Her dissertation examined conflicts over proposed school closings in New York City during the years 2009-2011. Selected as a 2011 Spencer Foundation Dissertation Writing Fellow, Ms. Pappas completed her dissertation in 2014. Prior to her time at CUNY, Liza worked for a national education network, the Cross City Campaign for Urban School Reform, which advocated for a shift in authority, resources, and accountability to the school level, and to reconnect schools to their communities. At Cross City, Liza served as a program director for a national youth leadership and education organizing initiative. High school students she collaborated with inspired her to pursue graduate studies in school improvement work. She has taught Philosophy of Education and Race, Class, and American Schooling courses at Hunter College. She has also guest lectured on the power of community organizing efforts for school reform. Additionally, she has worked as a writing instructor at the New York City College of Technology and the Brooklyn Education Opportunity Center. She has also served as a professional development consultant for the College Now program faculty at City Tech. Liza Pappas also holds a Masters of Education degree in Education Policy and Management from Harvard University and a Bachelor of Arts degree in Public and Community Studies from Providence College. Dr. Elizabeth Pratt received her Ph.D. in Linguistics from the City University of New York, where she is currently involved in several linguistic and educational research projects through the Center for Advanced Study in Education (CASE), and the Research Institute for the Study of Language in Urban Society (RISLUS), including CUNY-NYSIEB. Her primary interests are in the unique integration of linguistic theory and research within a general framework of cognitive processing. Her recent research has concentrated on structural and prosodic effects on agreement processing and comprehension, with the goal of incorporating these linguistic insights into a comprehensive model of memory, executive control, and attention. Aligned with this research program is the parallel development and testing of pedagogical strategies and interventions for speakers and learners from diverse language backgrounds and profiles. She is CUNY-NYSIEB’s former Grant Budget Specialist. She may be reached at epratt@gc.cuny.edu. Diego Vargas was born in Colombia and came to the U.S. when he was sixteen years old. He has a B.A., and an M.A. in Applied Linguistics and TESOL Certification from Montclair State University in New Jersey. He is currently a doctoral student in the Hispanic and Luso-Brazilian Literature and Languages (linguistics track) at the CUNY graduate center. His research interests include sociolinguistics, bilingualism, and second language acquisition. His email is: vargasd1@gmail.com.